Michael Mizrachi was all in preflop holding the [Ad][9d] against his opponent's [Ac][Kc]. The Grinder picked up a flush draw when the flop fell [Qd][Kd][Qh]. He picked a straight draw as well when the turn fell [Jc]. 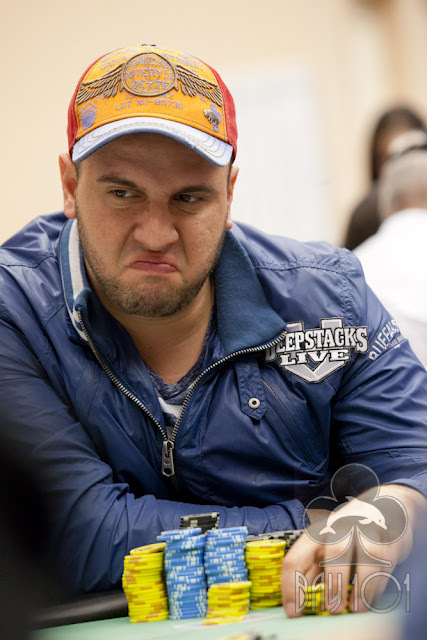 But the river blanked out for Mizrachi, and he was eliminated with 69 players left.